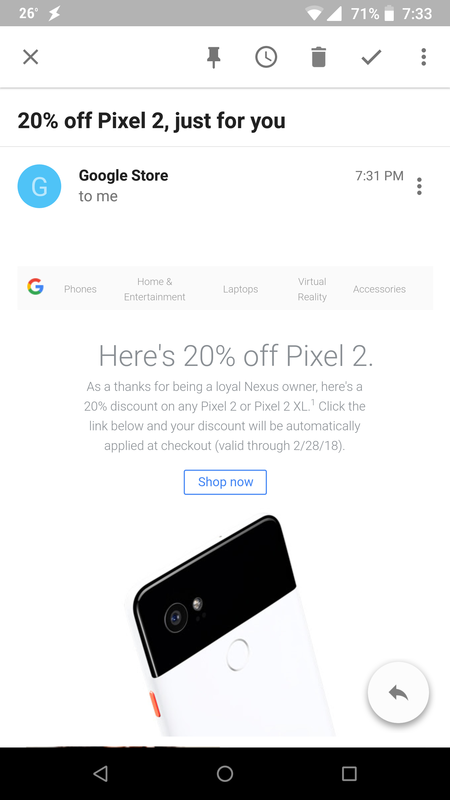 We've received a couple of tips in the last hour or so from readers who were sent the email above from the Google Store. Essentially, if you're fortunate enough to see this email in your inbox, you can get 20% off any variant of the Pixel 2 on the Google Store. 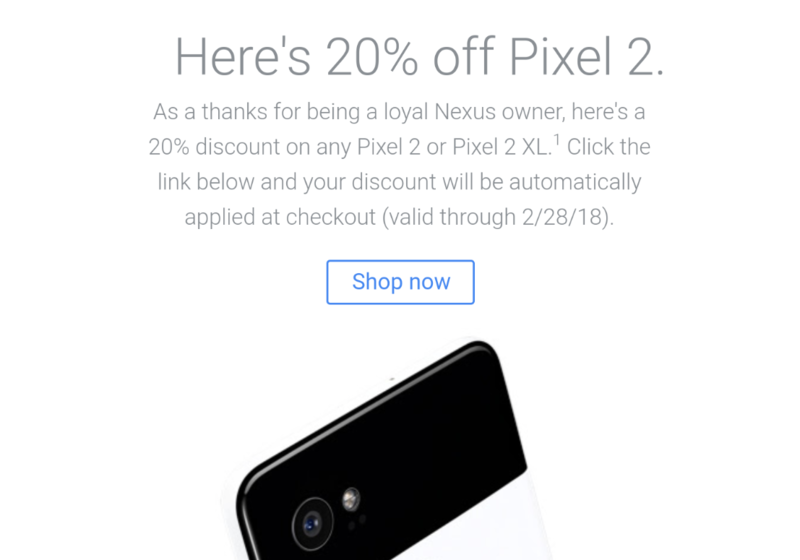 This is supposedly a thank-you from Google for being a "loyal Nexus owner," though it's not at all clear what defines someone as such. Several members of the AP team have owned multiple Nexus devices, and yet there's nothing in our emails. It looks like Google may be checking if you're still using a Nexus device, as the screenshot above was taken on one. The offer expires February 28th. If you've been selected, the discount will automatically be applied at checkout. Let us know in the comments if you've received this email, and if so, if you're currently using a Nexus device.